When Chimneys are constructed, the opening at the top is usually left uncovered. It doesn’t take long for this condition to develop into a problem. A hole at the top of your chimney – large or small- is an OPEN invitation for water damage, animal entry, or escaping cinders anon other unwanted conditions. Water is destructive to masonry. Over time, moisture can break down brick, crack mortar, deteriote masonry chimney crowns and corrode metal. Animal entry can lead to nest building, obnoxious noises, unpleasant odors and possible death of the animal. Sparks exiting the top of a chimney can result in the ignition of a wooden roof or nearby greenery. 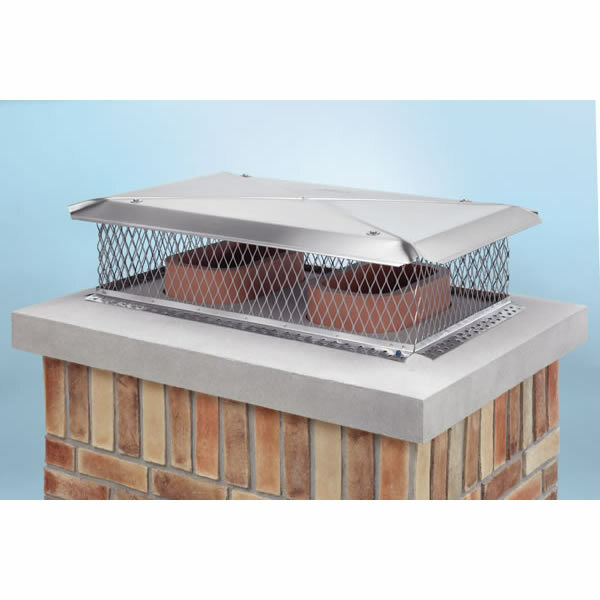 The installation of a chimney cap is often a simple solution to avid these situations. Chimney Caps or rain caps they are often called, provide protection to the top and interior of a chimney. 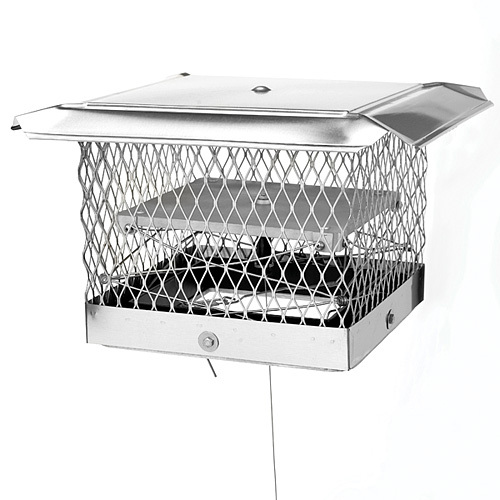 They typically consist of a lid with screened sides attached to the top of a chimney. Chimney Caps come in all shapes and sizes. They are typically made of stainless steel, galvanized metal or copper and can now be powder coated in almost any color imaginable. We at St. Louis Chimney Co. can even have a custom size cap made to meet your personal taste and needs. A damper is basically a movable metal plate located in the throat of the fireplace. When the fireplace is in use the damper is opened to allow smoke and gases to escape up the chimney. When the fireplace is not in use, the damper is kept closed to keep the valuable warm air from going up and out of your chimney in the winter. In the summer months closed damper can keep foul smelling air in the chimney from entering your home. The problem is the the metal dampers can deteriorate or be damaged to the pint that they no longer function as they were intended. A practical and cost effective solution to this problem is the installation on a top sealing damper or a lock top damper. 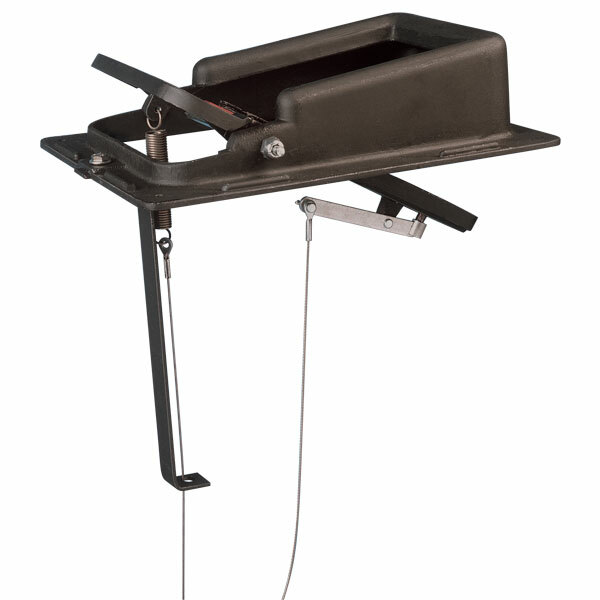 Top sealing dampers are basically a spring loaded pivoting plate mounted at the top of the chimney opening. The damper assembly is attached to a cable that runs down into the fireplace firebox. When you want to open or close the damper plate you simply pull the cable up or down and lock it into place. Simple, but very effective. When your damper has failed and you are also in need of a chimney cap we have a solution for that too. These units preform just as the top sealing dampers do (as described above) but provide the added protection of a screened chimney cap. This is a very popular and practical solution to damper problems. 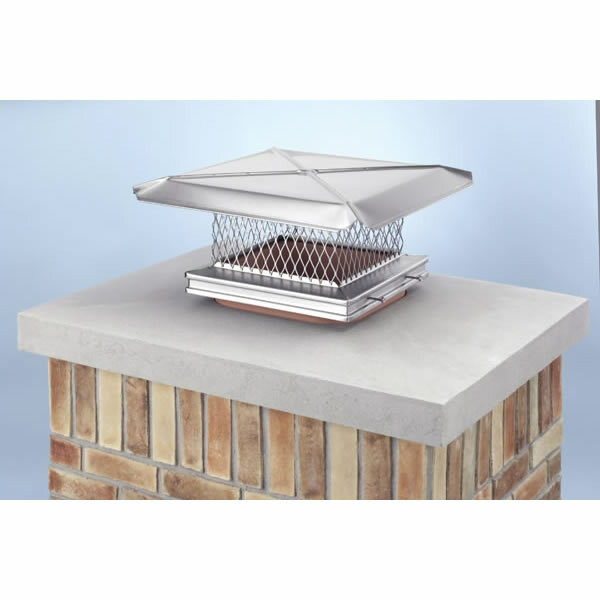 Either a replacement damper or a new chimney cap, we have the right choice for you. If you are experiencing any of the chimney problems we have discussed above please contact us. We can provide with the right solution.